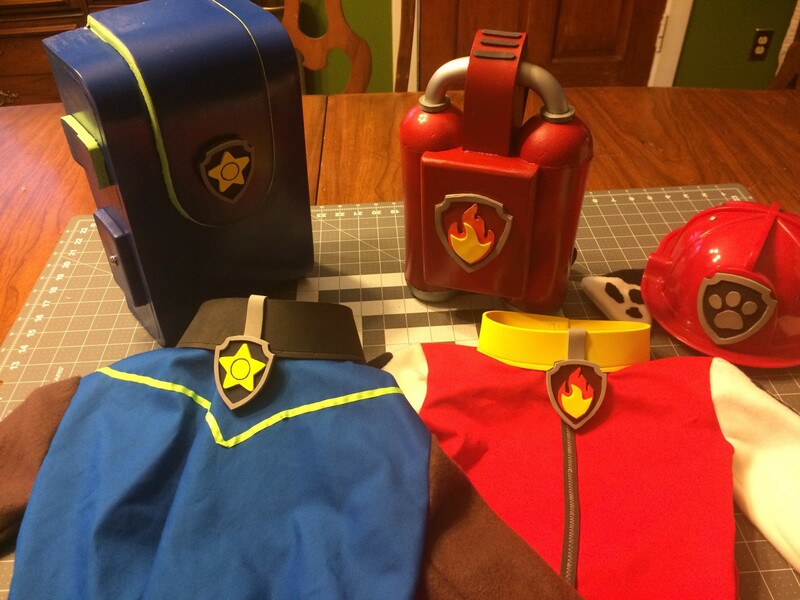 My wife often makes Halloween costumes for the children of our friends and relatives, and I pitch-in when needed. 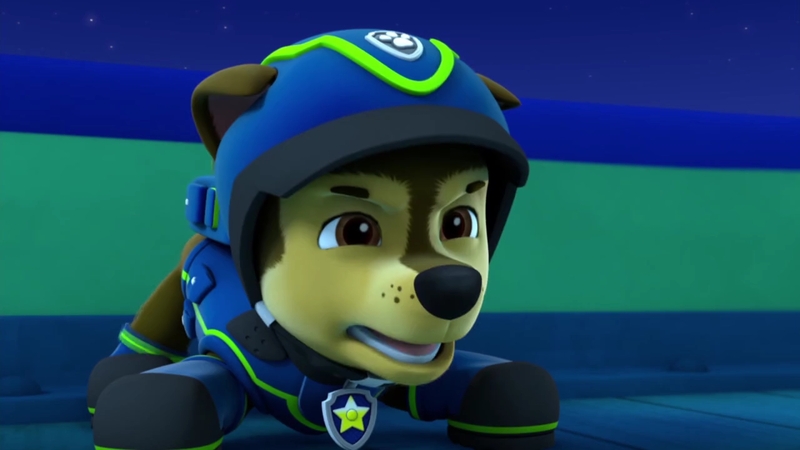 This year we tackled the characters of Marshall and Super Spy Chase from the animated show Paw Patrol. 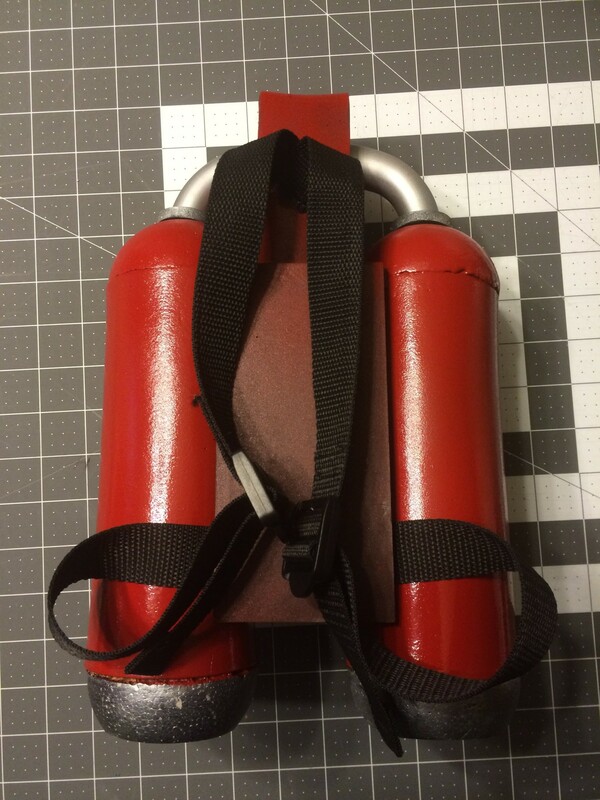 I have been watching the videos of Bill Doran and Evil Ted Smith on YouTube, and was excited for a chance to do some extensive EVA foam work. 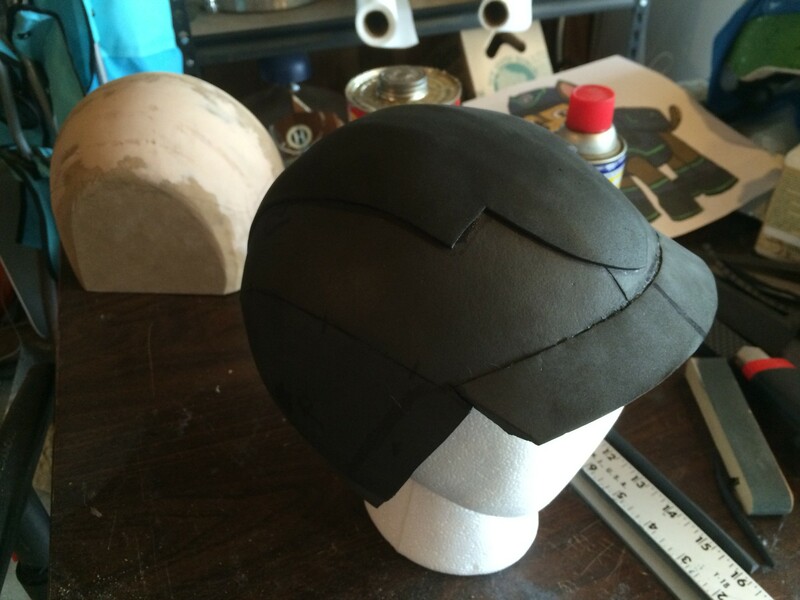 I felt the most challenging piece would be Chase’s helmet, so I started on that first. We had a bike helmet to use as a size reference for Chase’s helmet, so I got a styrofoam head from Michael’s (50% off!) 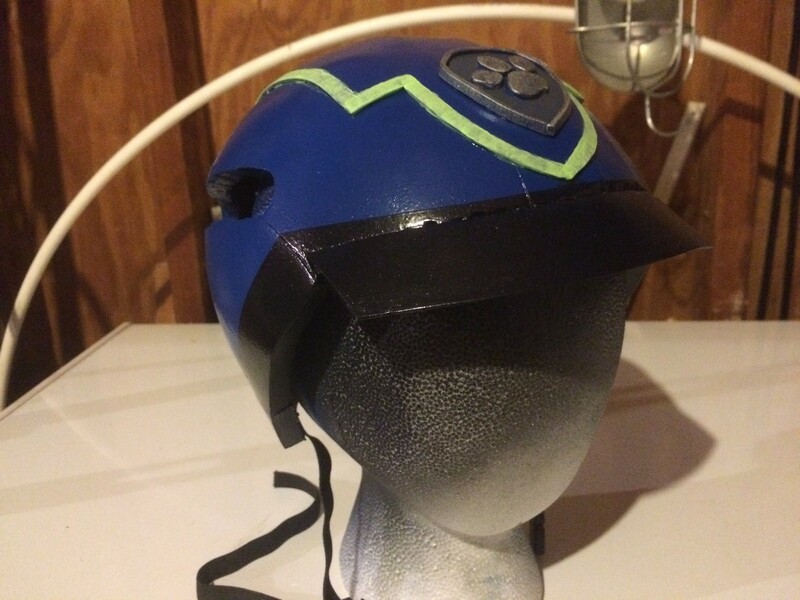 that fit the bike helmet, and used it to make a pattern. Following Evil Ted’s tutorial, I covered the head with foil, covered the foil with duct tape, and then drew my pattern onto the duct tape. 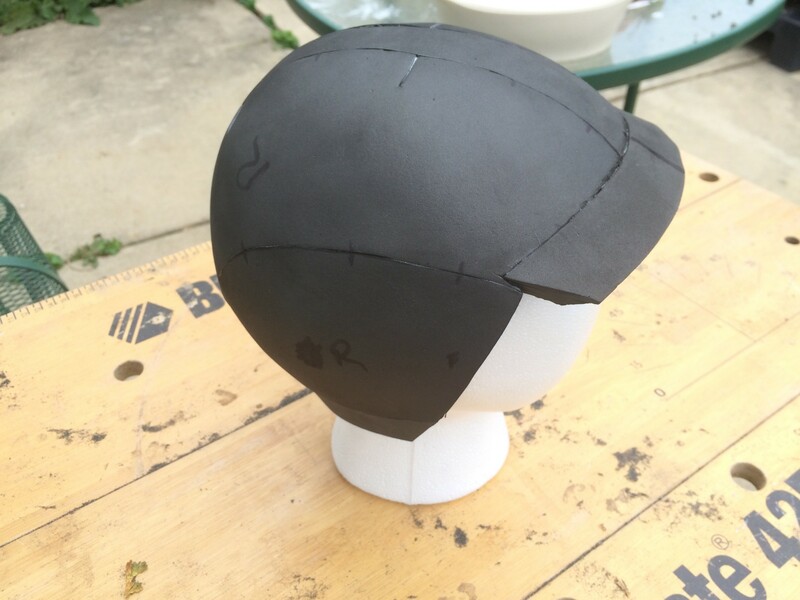 When I cut it apart and added some darts into the most extreme curves, I had a pattern I could cut out of EVA foam. 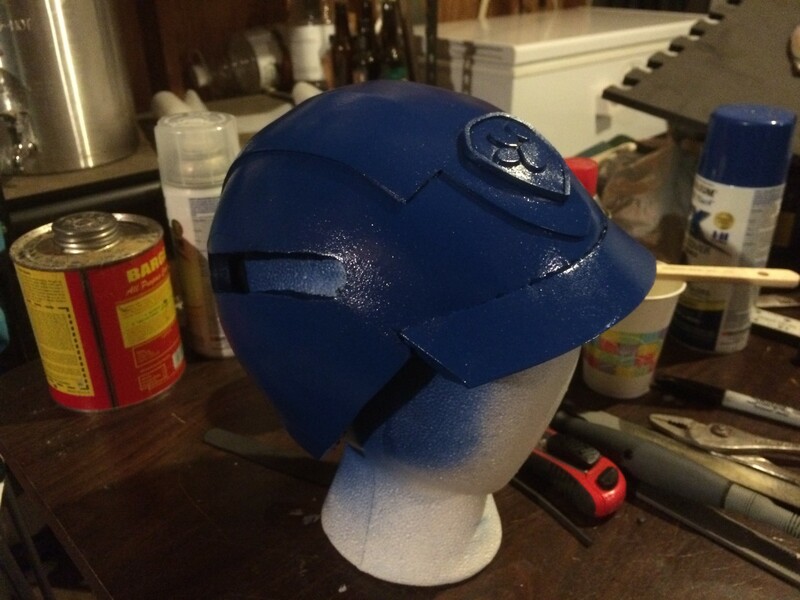 I used a heat gun to shape the curves, and Barge cement to put together the helmet for the first time. 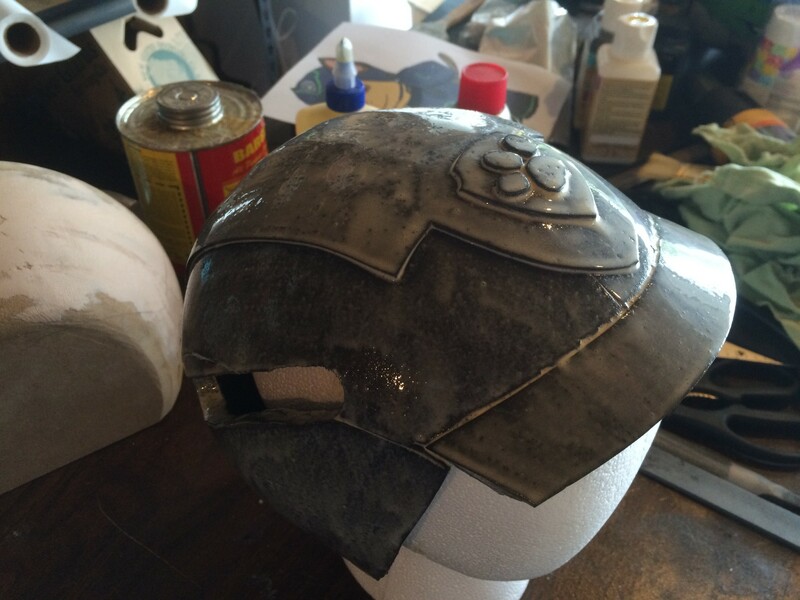 This first attempt at the helmet fit the head snugly, but did not have the shape or feel of the Chase helmet. I carefully cut it apart along the center-top seam and added a strip about an inch and a half wide into that gap. Being my first time doing this, I neglected to add registration marks to this new shim, and the result is that the final helmet sits just a little bit off-kilter. 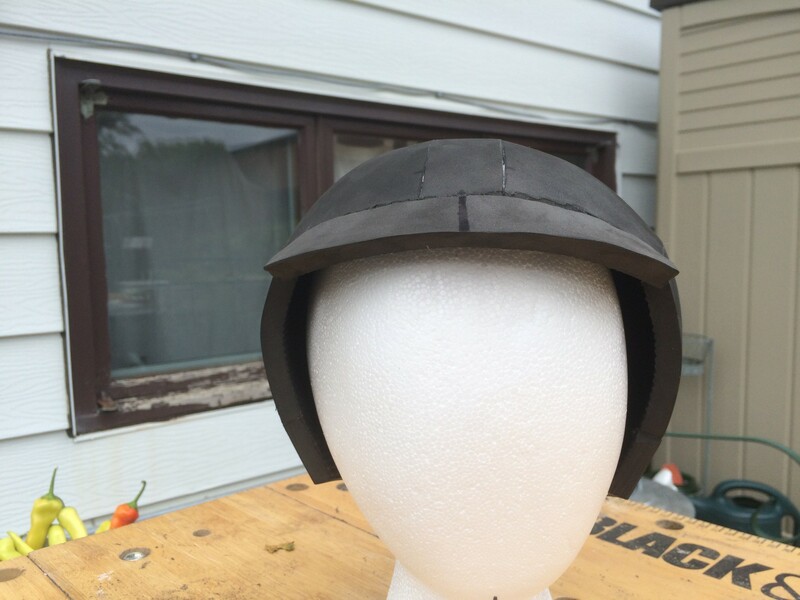 Now that I had a good overall shape, I added the top detail piece, cut out of a thin piece of foam and heat-shaped over the dome. 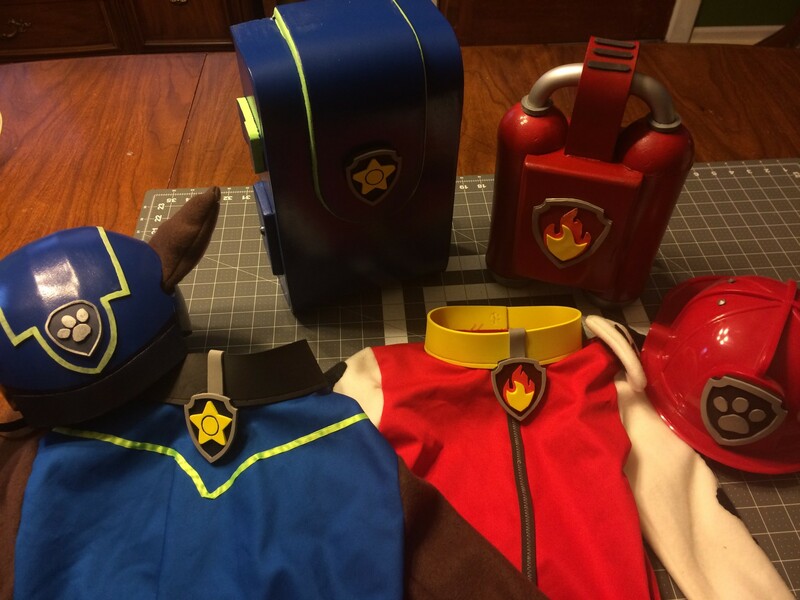 To this I added a badge cut from the thin foam. I free-handed a visor piece out of the thick eva and secured it with Barge. 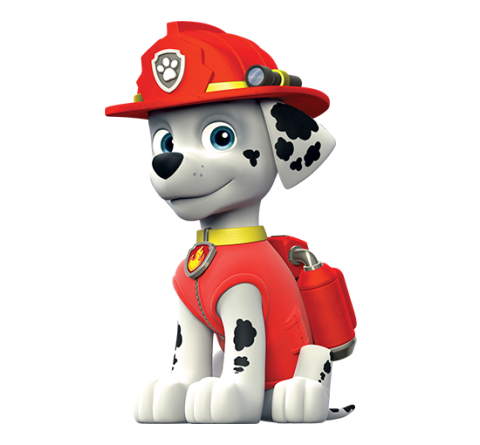 The last major details were slots I cut in the sides for Chase’s ears to come through. These were cut by carefully plunging a sanding drum attachment on a dremel through the foam and routing-out the slot. The hard part about using a dremel on foam is not the cutting, it’s making sure the tool does not get away from you. 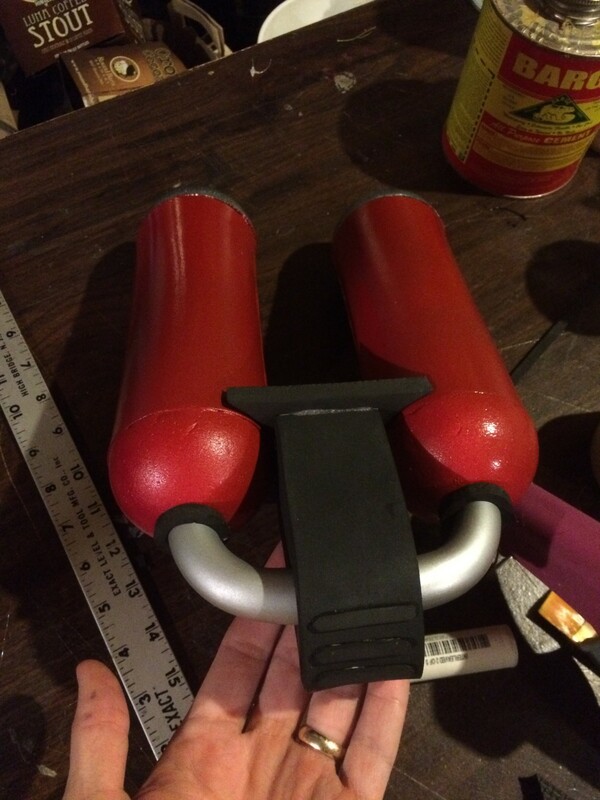 To prepare for paint, I coated the whole thing in watered-down wood glue. 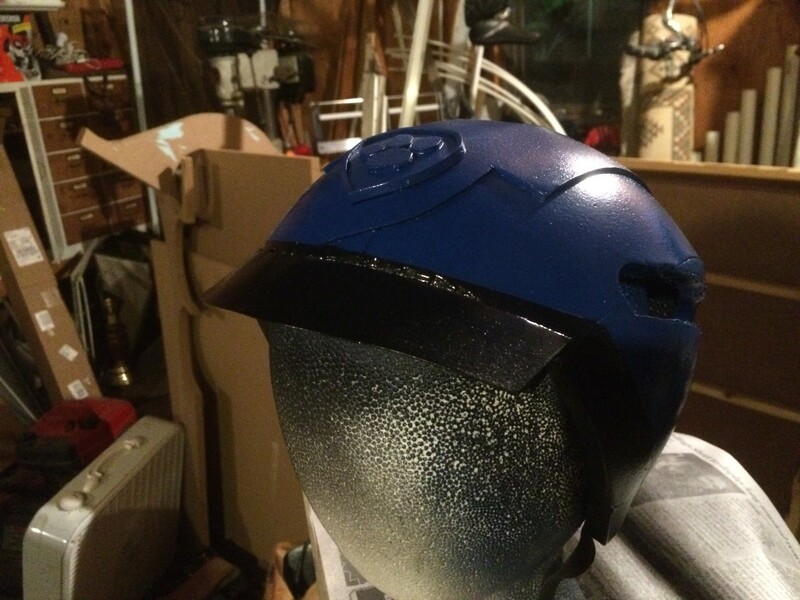 For paint, I used 2 coats of a gloss blue spray paint before masking for the visor, and painting that with a metallic dark gray/black. When I peeled the masking off, it pulled the blue off in a couple areas which I then had to touch-up. At this point I realized I did not have a neon-green spray paint for the pinstripe detail, but I did have a bottle of acrylic in the right color. Since I didn’t want to mask it again and risk pulling up more of the blue, I decided to freehand the green pinstripe with acrylic. Painting acrylic on top of gloss isn’t a great idea, and freehanding it compounded the problems, but from a distance it gives a good effect. 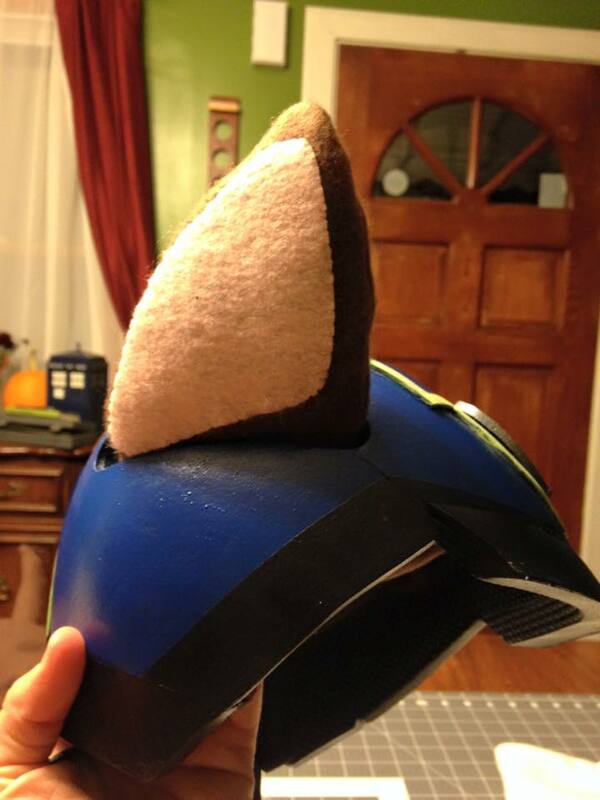 The helmet was finished with a chinstrap and plush ears that Lynette hot-glued to the inside of the slots. 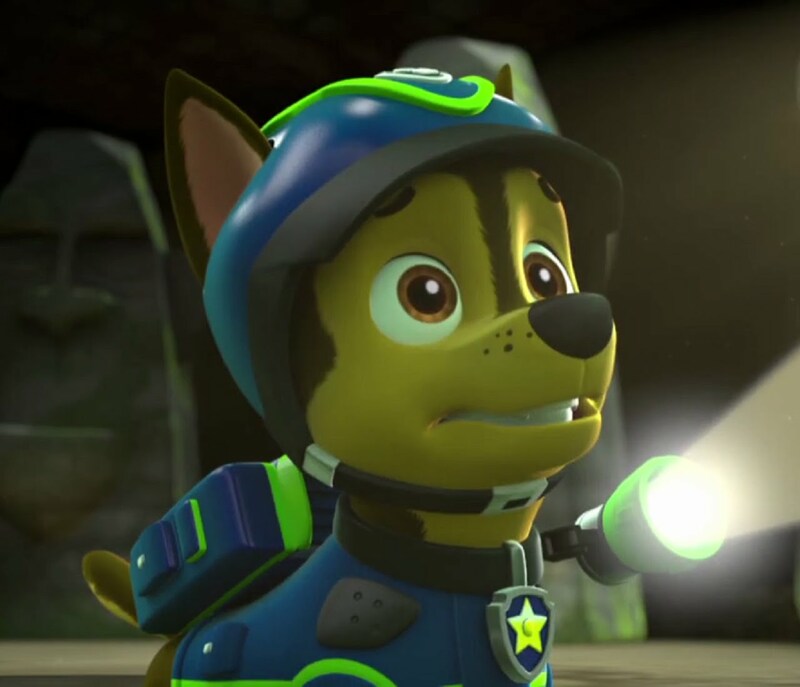 Chase’s pup-pack was also made entirely of EVA foam, but I raced through that and did not document it with any photos. The design is an amalgam of what details I was able to find on Google Images (not many), the action figure I held for a minute when we visited them, and my own imagination. 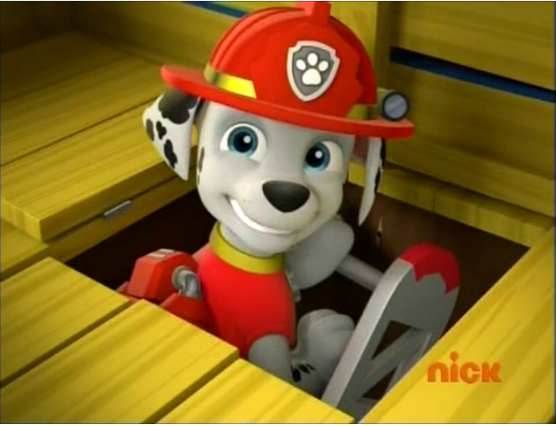 Marshall’s pack had a much more interesting construction. 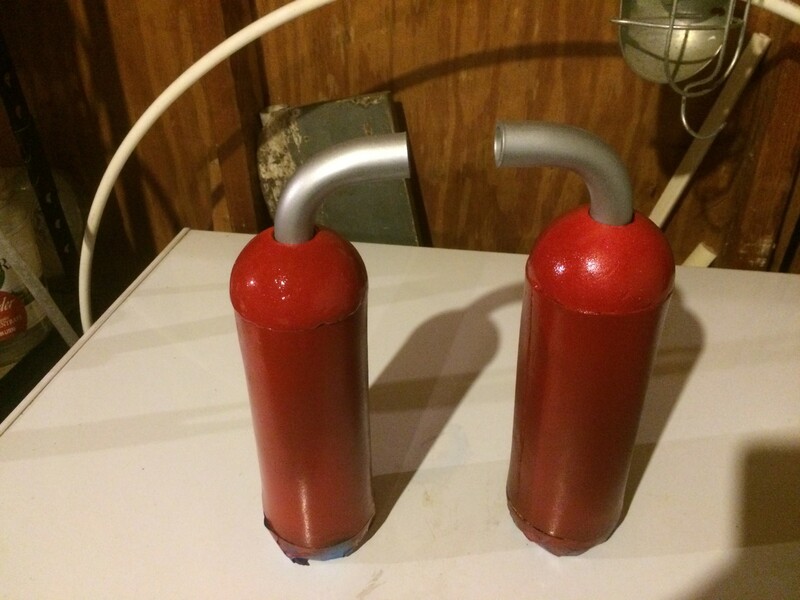 I started by cutting some styrofoam spheres in half, and then using the belt sander to truncate two of the hemispheres for the bottoms of the fire-extinguisher tanks. I coated all of these in wood-glue to protect them from Barge or spray paint. Next I made tubes of EVA foam at the same diameter as the hemispheres and cemented all the pieces together so I now had two identical tanks. 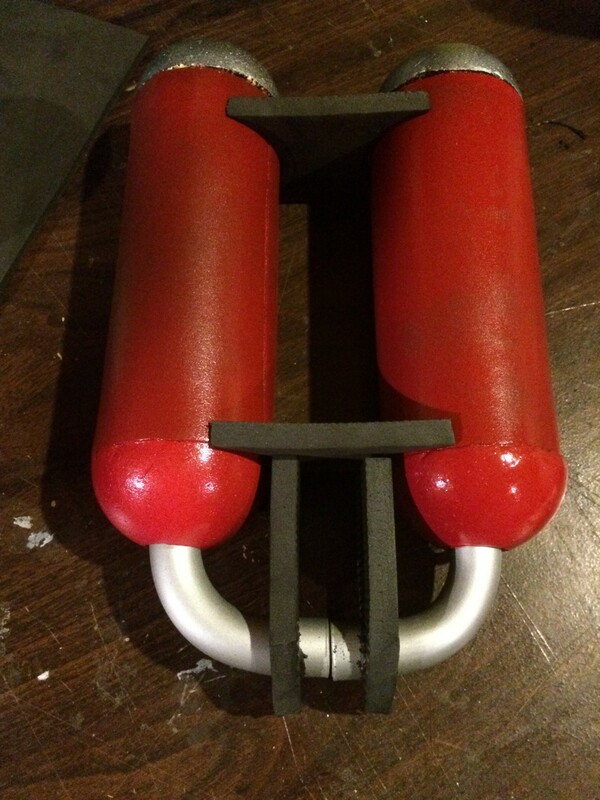 Using a tube-bending spring (awesome tool) and a heat gun, I bent some short pieces of PVC pipe to 90º angles. I drilled-out the top of the styrofoam domes so the PVC fit snugly, and added EVA-foam “gaskets” where the two fit together. 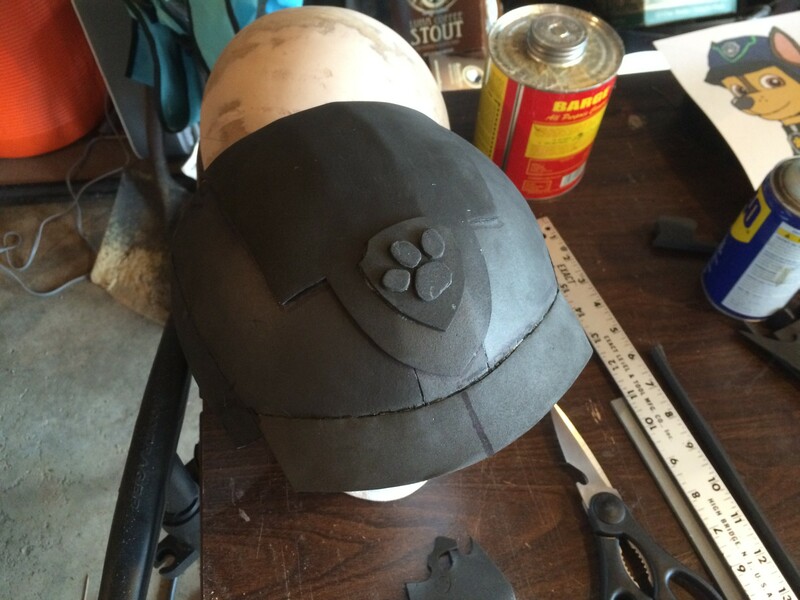 The rest of the pup-pack was constructed from EVA foam, as you can see in the photos. 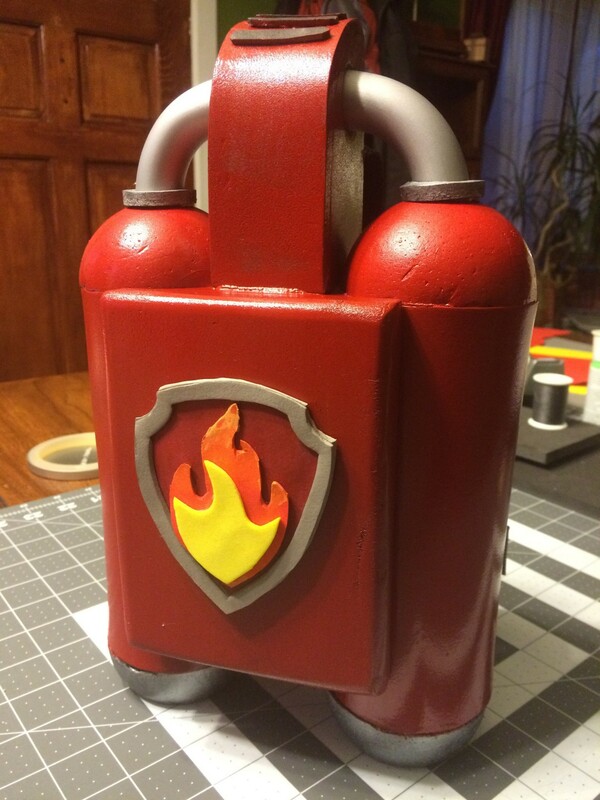 Final assembly was done with hot glue.